Shimmer on the dancefloor with a sparkling festive dress to Last Christmas and Merry Xmas Everybody with our gorgeous Ladies' Christmas Tree Fancy Dress Costume. 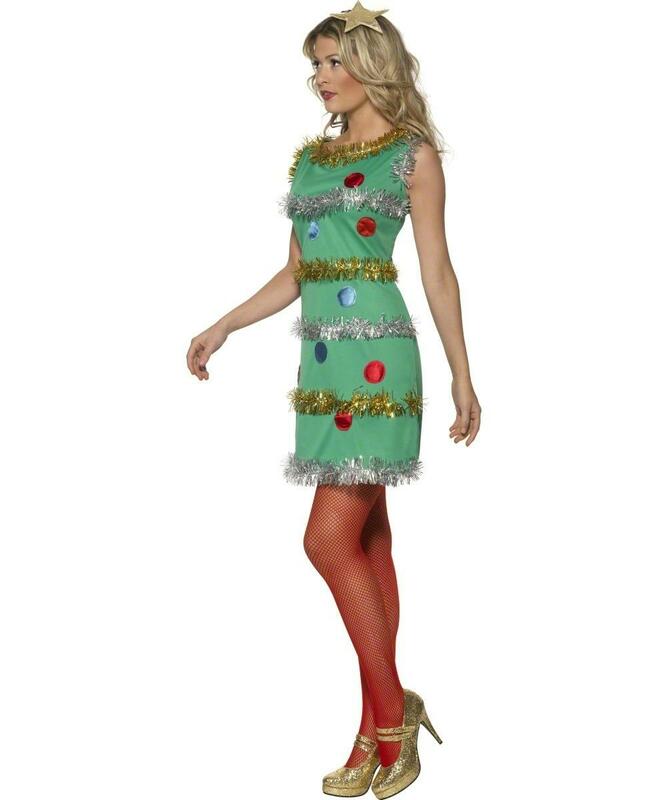 The Christmas tree costume features a green shift dress with gold and silver tinsel and red and blue shiny material 'bauble' circles. Every tree needs the right decoration on top and this costume is accessorized with a gold star headband. Sparkle the night away at a Christmas fancy dress party.